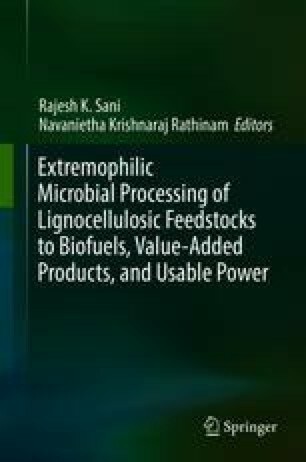 This chapter will provide basic information about consolidated bioprocessing (CBP), including native and recombinant strategies and their application in biofuel production. It will address the integrated CBP process to produce biopolymers (e.g., polyhydroxyalkanoates, extracellular polysaccharides), organic compounds (e.g., 1,3-propanediol), and biogas (methane). The chapter will also discuss the production of biofuels by integrating the CBP process with fuel cells and other bioelectrochemical systems. A detailed discussion will be provided on the thermophilic anaerobic digestion (TAD) process to produce methane from agricultural biomass using thermophilic microorganisms as well as biological oxidation of methane to methanol using methanotrophic bacteria. The chapter will conclude with presenting different approaches in modeling CBP processes for existing applications. Financial support provided by the National Science Foundation in the form of BuG ReMeDEE initiative (Award # 1736255) is gratefully acknowledged. The authors also gratefully acknowledge Department of Chemical and Biological Engineering at the South Dakota School of Mines and Technology for the support.